Okay, so sometimes it's 'Pick of the Month', others it's 'Cover Dan Most Wants To Blow The Hell Out Of' - sue me (actually don't unless you want to be disappointed - comic blogging isn't exactly a way to riches). So yeah, this remastered cover would still hit you between the eyes, even if you took away it's breath-taking recoloured jobbie. The drawing alone on this remastered cover still shows what a pencilling powerhouse Joe Quesada was right from the early days - and talent never dates my friends. Unless you're Vanilla Ice. Valiant says: Aric of Dacia, a fifth century Visigoth warrior abducted and enslaved by the brutal Spider Aliens, fights his way free of his captors and steals their ultimate weapon, the X-O Manowar armor. But 1,600 years have passed while the Spider Aliens held Aric captive and the time he returns to is not his own. Trapped in the modern day, Aric is now the last of his people, a savage warrior out of time in a world of corporate treachery and casual deceit. But, armed with the power of the X-O Manowar armor, Aric will rule... and he will make the Spider Aliens pay. 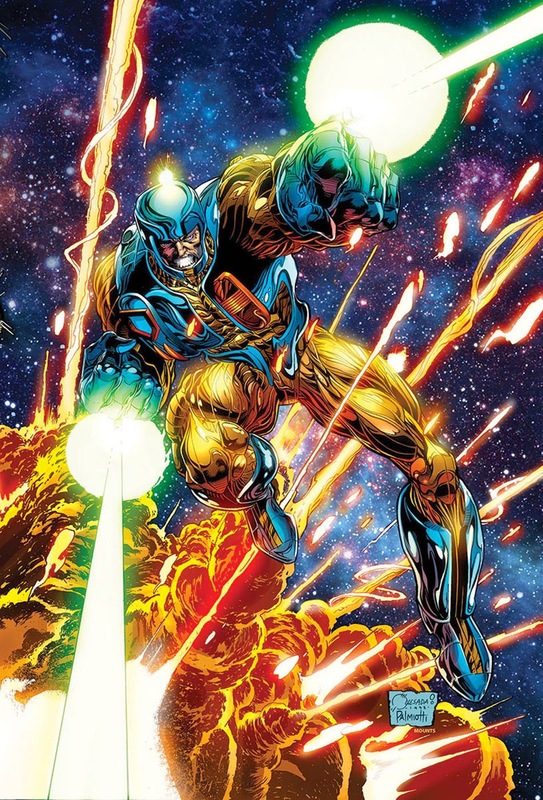 Get the complete epic of Valiant's flagship hero starting here with this massive oversized volume collecting X-O Manowar (1992) #0-30, Armorines #0, X-O Database #1, as well as material from Secrets of the Valiant Universe #1. 800 pages. (W) Bob Layton, Jorge Gonzalez, Jim Shooter, Steve Englehart, John Hartz and Rob Johnson, (A) Joe Quesada, Bob Layton, Barry Windsor-Smith, Sal Velluto, Mike Manley, Steve Ditko, Mark Moretti, Michael Leeke, Howard Simpson, Bart Sears, Jose Delbo, Jim Calafiore, Paris Karounos and Rik Levins. 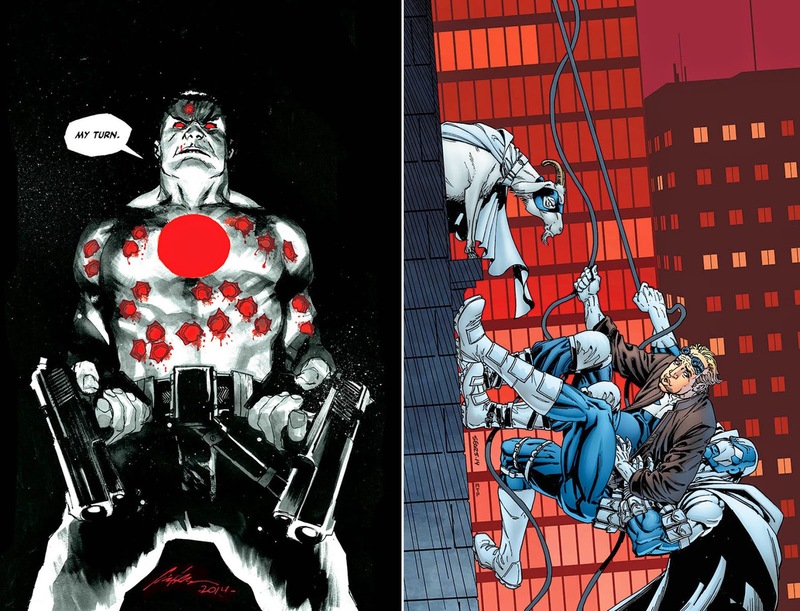 JUMP ON HERE: BLOODSHOT #25 A murderer's row of all-star talents is going all-in for a 48-page milestone anniversary blowout chronicling the classified history of Valiant's most dangerous, most brutal, most relentless hero - Bloodshot! (W) Peter Milligan, Howard Chaykin, Duane Swierczynski, Duffy Boudreau, Justin Jordan, Daniel Kibblesmith and more, (A) Lewis Larosa, Howard Chaykin, Barry Kitson, Manuel Garcia, Al Barrionuevo, Rafer Roberts and more. What do you think? 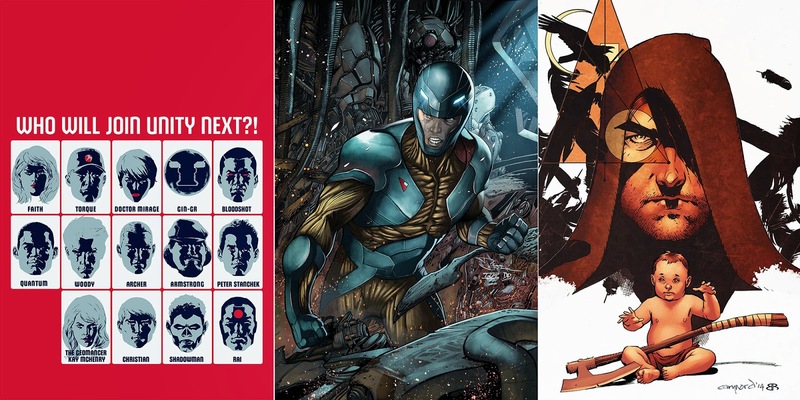 For the full list of Valiant's November 2014 solicitations, click the jump. The iconic XO. I've got the old one of those, and yeah, the color pops in HD here. Great remaster, and still seems to overshadow the new stuff. Although that might be partly nostalgia talking. Thanks Random - I wonder who Joe would most like to draw if he was aloud outside Marvel's doors?